The small world of full-time Bible prophecy preachers and teachers has recently lost three of its stalwarts. The first to be called home to His Lord was Grant Jeffrey, a Canadian who passed from this life in May of 2012. Grant was a prolific writer on Bible prophecy themes. In 2000, his novel titled By Dawn's Early Light, which he co-wrote with Angela Hunt, won the Christy Award for futuristic Christian fiction. 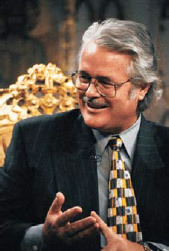 Grant also served as the host of a weekly television broadcast called "Bible Prophecy Revealed." Grant was working on a new book called, One Nation Under Attack at the time of his death. 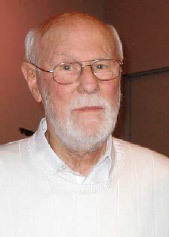 The book was completed by his colleague and fellow Canadian, Jack Kinsella. Jack was born in Fort Erie, Ontario, Canada. At age 16 he joined the U.S. Marines and served 6 years. He then completed a 20 year career as a law enforcement officer in North Texas, after which he headed back home to Canada. He devoted the rest of his life to the study of Bible prophecy and became a highly skilled writer. For several years he served as the head writer for the television program "This Week In Bible Prophecy," and also edited the magazine with the same name. 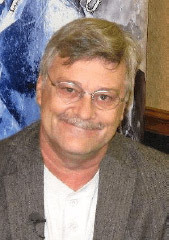 He later became a researcher and writer for his friend and mentor, Hal Lindsey. In 2001 Jack founded "The Omega Letter," an online daily Christian intelligence digest analyzing current events in light of Bible Prophecy. Jack's insights will be featured in Dr. Reagan's new book about the signs of the times and in the ministry's new series of television interviews about the book of Daniel. Jack died in March of this year. Dave was an expert in apologetics as well as Bible prophecy. He was a graduate of UCLA and worked as a CPA before starting to write in 1973 about the impact of secularism on the Church. He became well known in 1985 with the publication of his book, The Seduction of Christianity. In 1992 he formed a ministry named The Berean Call, located in Bend, Oregon. Dave died in April of this year. His ministry is continuing under the directorship of his long time friend and colleague, T.A. McMahon. Jr church died also around 2011 I think. His ministry had many insights into end times. Please stay safe and healthy Dr. Reagan we need your voice now more than ever. It is troubled times. God bless! Ron Graham also died recently. The Lord is calling His workers home. Time is just about up for the unbelieving world to get right, or get left. Blessings! Here in Puerto Rico we also lost Reverend Yiye Avila who went to be with our lord last wk. He passed away while praying in his bedroom. He was watched throughout the whole hispanic world and he was very much loved. He was like a Puertorrican Billy Graham. God bless you Dr. Reagan, I never miss your program. What about Chuck Missler, One of the best.